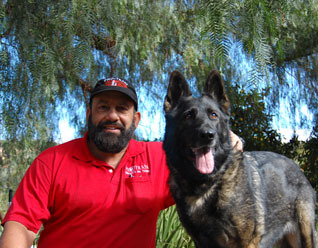 A Dynamic Service Dog Duo that Helps Save Lives | Dog Trainer in San Diego: The Dog Man Can. 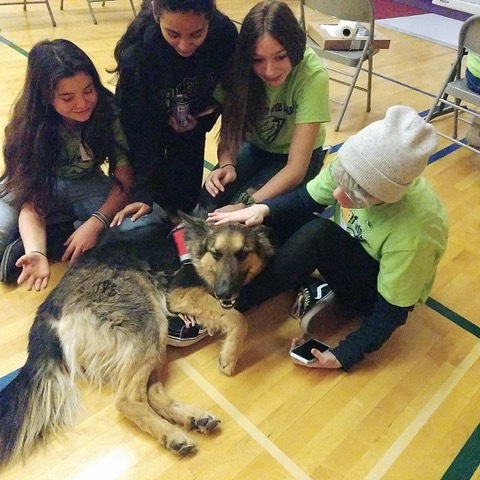 Five-year-old German Shepherd Oscar is the proud service dog for Michael Pritchard. Michael is a longtime independent investigator working with the public defender’s office. and suffers a hearing deficit. 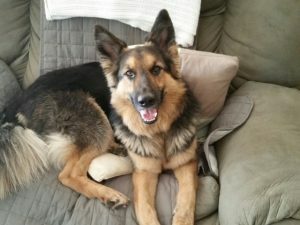 And, after successful pairings and training with other dogs from Pro-Train for his family, Michael knew he and his work life would benefit from a trained service dog. 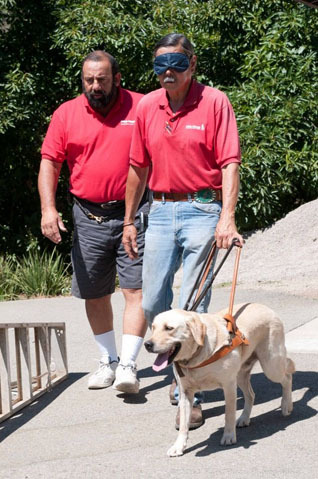 Mark delivered Oscar…a recently trained service dog pup, then just 9 months old. Oscar’s personality, according to Mark, was a better match for the daily grind of public service, in and out of courts and offices and near lots of different personalities and scenarios. 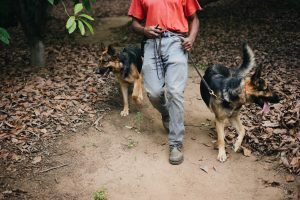 “At first, it was me who struggled as I missed Gunner, but Mark encouraged me to take my time with him…and establish a true bonding,” recalls Michael. Bus rides, a trip or two to the bowling alley, a few visits to the local Costco…and it wasn’t long before Oscar and Michael were inseparable. Oscar actually exceeded Michael’s expectations. He was so pleased to see that Oscar would provide “therapy” to his witnesses in his child dependency court cases. Even at a distance, witnesses and others in the court room would be more at ease with Oscar nearby. Speaking of playing well with others, the Bend, Oregon based duo have found an additional “calling” as Donor Ambassadors for the American Red Cross. Now semi-retired, Michael was looking for an opportunity to use his time to volunteer for a cause he is passionate about. He knew that blood transfusions had helped saved at least two of his family members. At the start of their volunteering, Michael and Oscar were up before the sunrise picking up donations and delivering them to local hospitals. The duo has become so popular in the region, that at donation events they’ve seen an uptick in the number of willing donors after just meeting the two! Featured in the American Red Cross Newsletter!